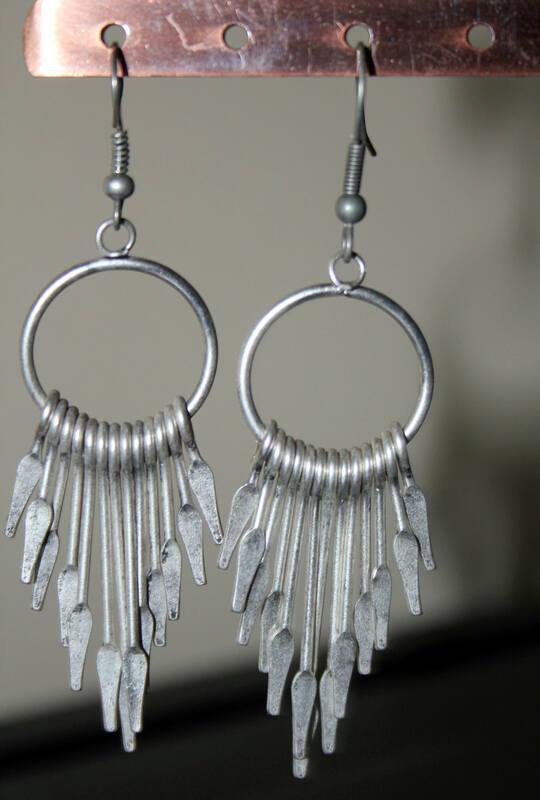 These hammered German silver earrings are unusual and very fun to wear. They are not your typical shiny silver but more of an antique look. 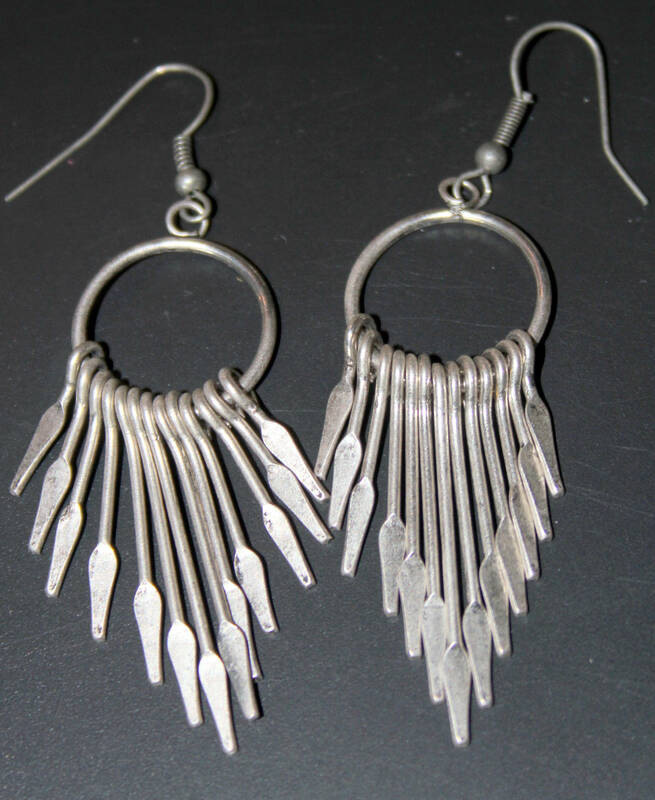 Each earring has a hoop and 13 hammered paddles that dangle. They are hung on matching gray niobium French ear wires and are about 3 inches long and one inch wide. They have a lot of movement and are light and easy to wear. I have included a pair of clear soft plastic ear backs. As with all my pieces, the workmanship on these earrings are guaranteed for one year from the date of purchase.